Mr. John M. Jordan Jr and his parents, experienced educators from the Chicago area, started Towering Pines Camp for Boys in 1945. They believed that, “play is the work of children” and “our goal as parents is to build a secure inner structure that will allow our children to live without us”. These philosophies among others drove the development of an incredible overnight summer program. The continuity of Jordan family leadership is an important feature in the camp‘s reputation for excellence. They are committed educators and dedicated to making every summer special for each camper. Jeff is the third generation to own and manage Towering Pines Camp for Boys. 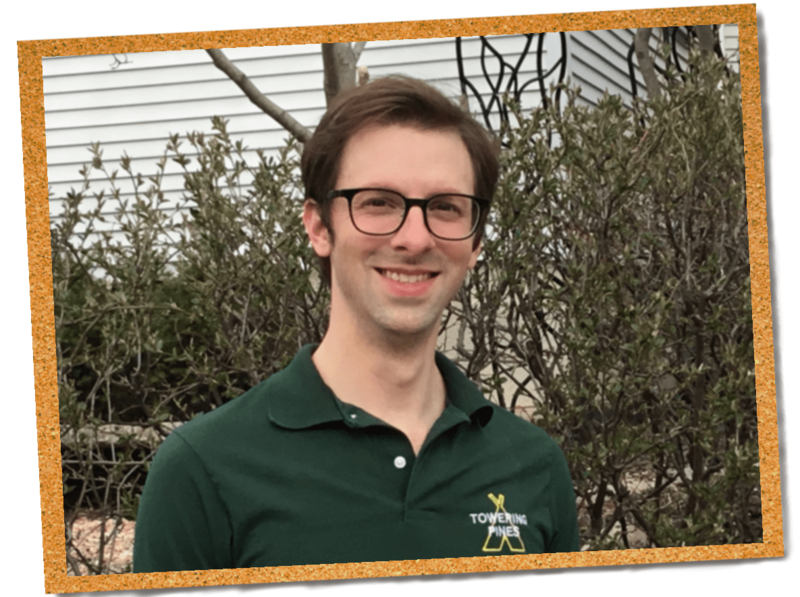 He has spent every summer of his life at camp (born in Rhinelander, Wisconsin during cook out night) and enjoyed being a camper, counselor, and program director before taking over the ownership with his sisters in 2011. Jeff holds Masters Degrees in Physics Education and Educational Administration. He is a dedicated science teacher at Glenbrook North High School in Northbrook, Illinois. Jeff also coaches boys’ tennis at Glenbrook North, and is proud to have helped coach two state championship teams during his tenure. Jenny, Jeff’s wife, holds Masters Degrees in English Education and Educational Administration. She is currently the Assistant Dean of Students and Writing Center Coordinator at Glenbrook North High School. She has been the camp office and public relations manager during the last 20 summers. Jeff and Jenny’s two daughters have attended Camp Woodland for Girls (Towering Pines ‘ sister camp) since they were six years old, making them proud to be part of the fourth generation of Jordan family camping traditions! 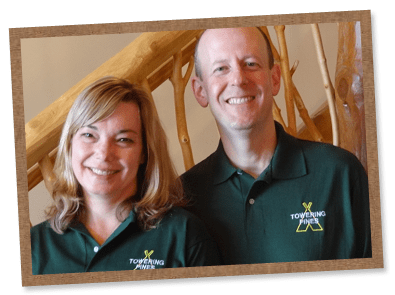 Jonathan is the second grandson of John Jordan Jr and Assistant Director at Towering Pines. Over the years, Jonathan has led a variety of camp activities including sailing, swimming, and drama. He now puts his experience and research expertise to work in program development and authoring camp blogs, as well as managing staff and campers alike. He is also one of the creative minds behind the classic CO-ED show, performed by the Counselors in Training at the end of each summer. Jonathan is currently working on his dissertation for his PhD in Intercultural and Organizational Communication at the University of Milwaukee-Wisconsin. Angie, her husband, Thomas, and their 3 children, Aidan, Emilie and Isaac, live in Grand Island, Nebraska. She is a camp alum and worked as a counselor, assistant waterfront director and helped with staff training at Camp Woodland for 6 years (way back when!!). Angie has her B.A. in Business and Vocational Education and her M.A. in Deaf Education. 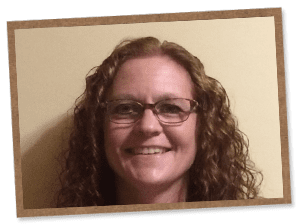 For the past 8 years Angie has been part of the non-profit organization, The GRACE Foundation (Grand Island Area Cancer Endowment). She served as the Director of the Race for GRACE 10K in which all proceeds assist individuals and families with cancer. Angie is excited to return to camp this summer and have her 2 youngest children attending camp at Woodland and Towering Pines! Working at camp was a life changing experience for her, and she is extremely excited to share her passion for camp and education with the campers and staff this year!! We are very fortunate to have Brenda, Drinka, Betty, Wendy, and Kathleen working for over 10 summers at Towering Pines to make camp extra special. Their children are all grown, but these camp moms still come back to cook tasty meals, manage the arts and crafts program, oversee the nursing staff, and help run the camp office.